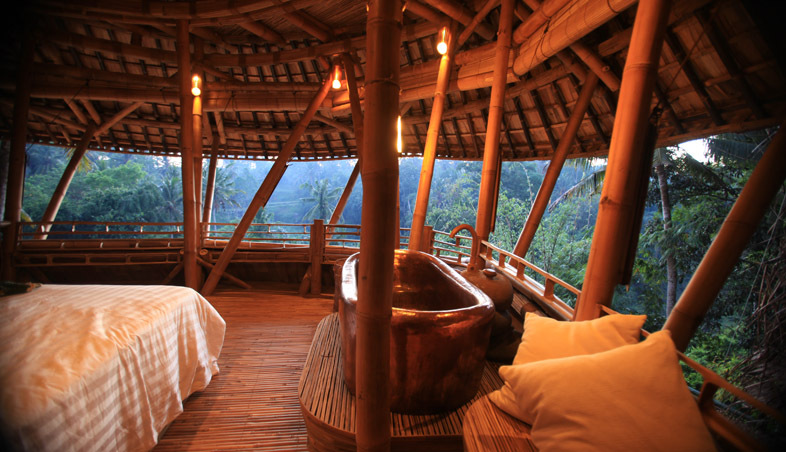 We continue with our feature on the “Bamboo House”. 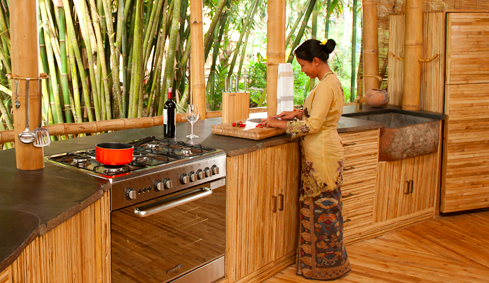 Today we look into two great bamboo home builders– IBUKU in Indonesia and BAMBOO LIVING in Hawaii. 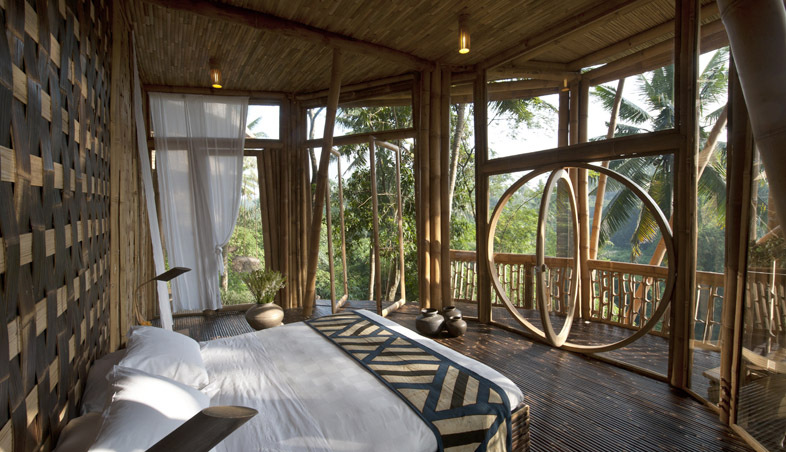 IBUKU is best known for creating the architecturally award winning bamboo buildings at Green School, their current project, Green Village, is an innovative residential villa development located within walking distance to the river valley campus. IBUKU is a full service design company that creates one of a kind designs for both residential and commercial spaces as well as artisan crafted bamboo furnishings inspired by a timeless Scandinavian design sensibility. Ibuku’s custom furnishings have captured the imagination and heart of some of the world’s leading designers, entrepreneurs and politicians. They build lightly on the land, redefining the meaning of luxury with a clear conscience. Bamboo is uniquely strong, beautiful, and flexible, and with its four-year growth cycle and carbon sequestration it is a uniquely efficient resource. Though bamboo has traditionally been used throughout Asia in short-term structures, new treatment methods have given it a capacity for long life. We harvest and treat all of our own bamboo, selecting for density and maturity, then lab test to confirm its integrity. In a world of retro-fitting or re-designing traditional items and materials to be incrementally better, IBUKU decided to wipe the slate clean and design outside of the box. Their view on being green comes out of being logical, practical, and conscientious. 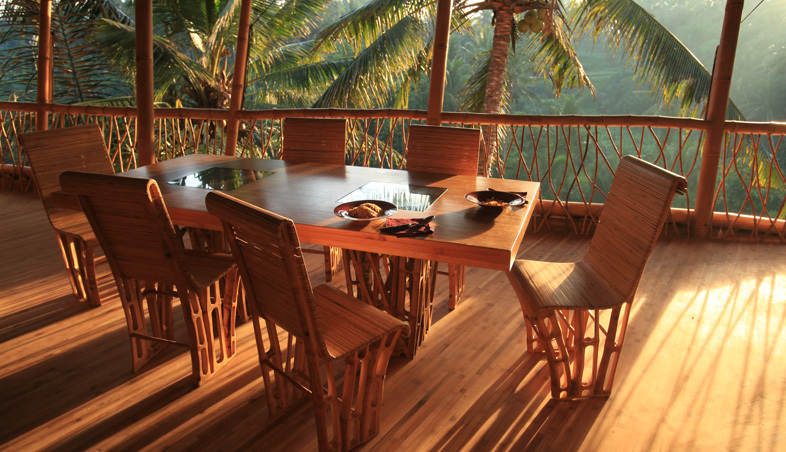 “Our mission is to protect and restore our planet by pioneering the use of bamboo as a structural building material. 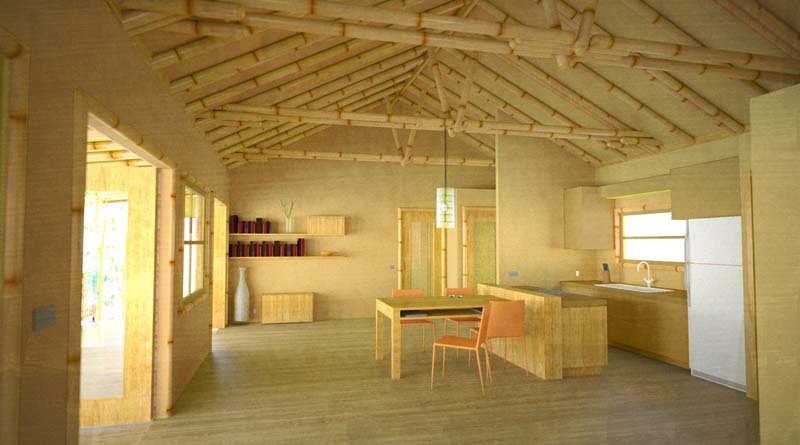 We envision a world where everyone can afford the prefab green home of their dreams. 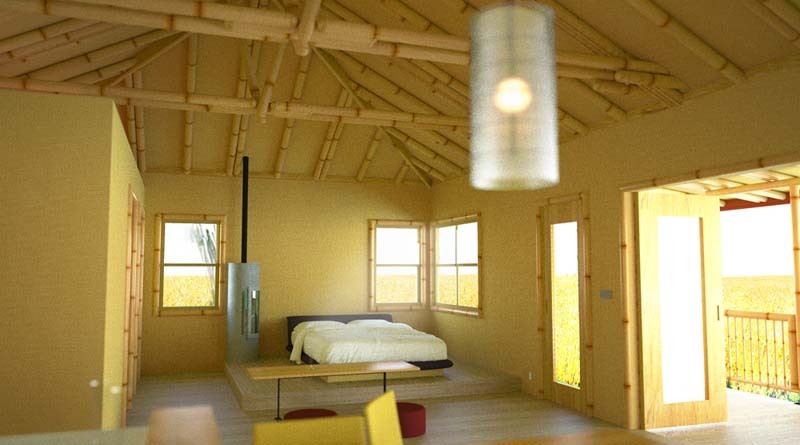 The beautiful style of our Zen Collection makes other prefab homes seem, well, ordinary. 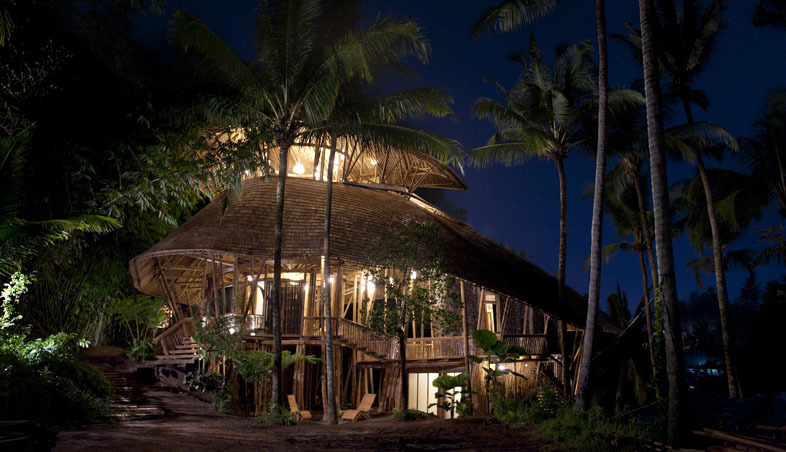 Imagine exposed bamboo rafters, lofty vaulted ceilings- enveloped in a living, breathing natural green home. Green building is now not just a dream, but a reality, and with standard 20’ widths and a variety of footprints, you can put Bamboo Living prefab green homes just about anywhere. 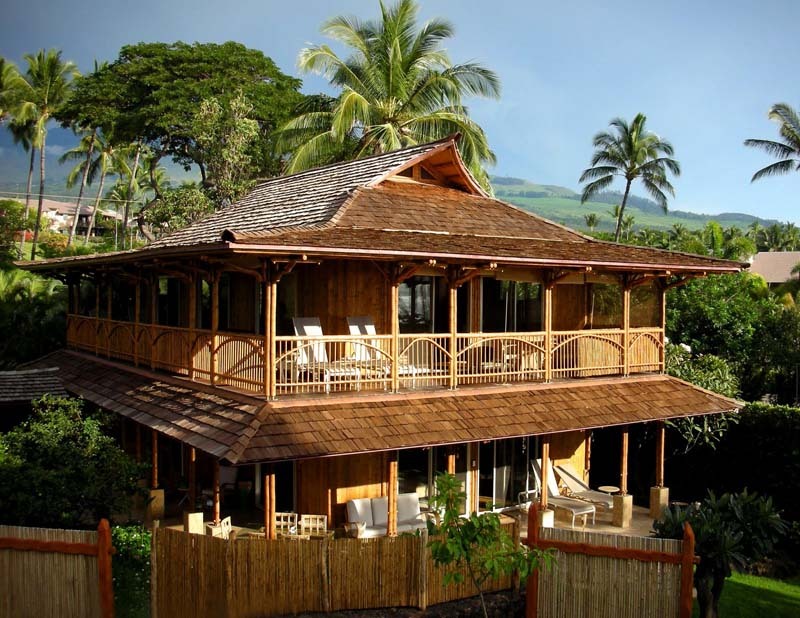 Our elegant and affordable collection has decorative options like interior and exterior paint colors (our Feng Shui consultant has picked out a few groovy colors that complement bamboo), bamboo porch railings, bamboo flooring, bamboo doors, bamboo cabinets – and more. Presently Jeffree is Special Projects Director for WBO coordinating a worldwide mission to introduce bamboo for housing and plantations for the long term economic reconstruction in Haiti. 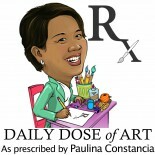 This entry was posted on November 13, 2012 by Paulina Constancia in Uncategorized.